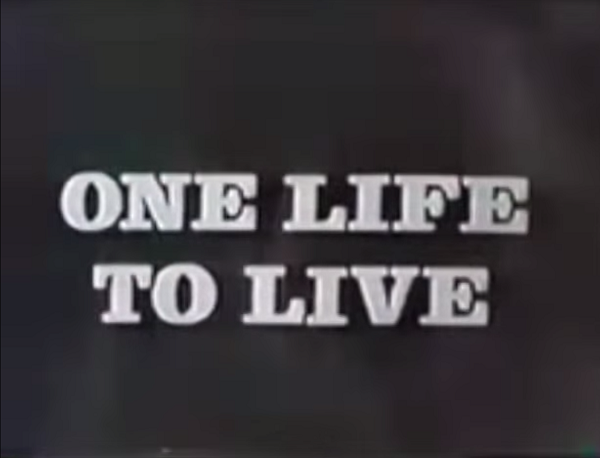 1968: Agnes Nixon's One Life to Live premiered on ABC. 1949: The final episode of John Haggart's A Woman to Remember aired on the DuMont Television Network. 1966: On Dark Shadows, the Collins family learned Roger had been in an accident. 1968: The Agnes Nixon daytime soap opera One Life to Live premiered on ABC. The original planned title for the series was Between Heaven and Hell. This was still the plan as of late April, and Don Wallace was expected to be the executive producer. The original cast included Ernest Graves as Victor Lord, Paul Tulley as Dr. Larry Wolek, Trish Van Devere as Meredith Lord, Gillian Spencer as Victoria Lord, Antony Ponzini as Vince Wolek, Doris Belack as Anna Wolek, Ellen Holly as Carla Benari (Gray), Lee Patterson as Joe Riley, Niki Flacks as Karen Martin, Terry Logan as Dr. Ted Hale, Allan Miller as Dave Siegel, Lillian Hayman as Sadie Gray, Donald Moffat as Dr. Marcus Polk, Thalmus Rasulala as Lt. Jack Neal, Patricia Roe as Eileen Siegel, and Thurman Scott as Dr. Price Trainor. One Life to Live aired on ABC until January 13, 2012. It premiered online via Prospect Park's The OnLine Network on April 29, 2013, and ran for one season before being canceled again. Check out a montage of OLTL opening sequences during the ABC years below. 1975: On Another World, Mackenzie Cory (Douglass Watson) visited Rachel Davis Frame (Victoria Wyndham) at the home of her mother, Ada McGowan (Constance Ford), and implored her to come home, and to forgive him for doubting her fidelity after falling prey to the manipulations of his daughter, Iris Carrington (Beverlee McKinsey). Later, a distraught Iris begged Mac not to sever their relationship, and Ada and Gil tried to convince Rachel to stay in Bay City. 1977: Soap opera spoof All That Glitters, from Norman Lear, aired for the final time after 65 episodes. Eileen Brennan, Greg Evigan, Lois Nettleton, Gary Sandy, Tim Thomerson, Linda Gray, Louise Shaffer and Jessica Walter were among the stars. 1982: On General Hospital, Holly Sutton (Emma Samms) reunited with her father, Charles Sutton (Mark Roberts), to review the details of their scheme involving Luke Spencer. 1983: On All My Children, Phoebe Wallingford (Ruth Warrick) fretted over her "dreadful brawl" with Opal Gardner (Dorothy Lyman), and Opal took to the streets to make her case. 1986: On Another World, at the police station Jim LaRusso (Walt Willey) and Cass Winthrop (Stephen Schnetzer) each made accusations against each other. 1992: Celeste Holm taped her last episode as Isabelle after being dismissed from Loving. She passed away exactly 20 years later on July 15, 2012, at age 95. 1993: On One Life to Live, Wanda Wolek (Marilyn Chris) reflects on having lived in Llanview for 25 years. The episode closed with a montage and voice over by longtime star Erika Slezak, who began playing Victoria Lord in 1971. At the time of the 25th anniversary, One Life to Live was executive produced by Linda Gottlieb, with Michael Malone and Josh Griffith serving as head writers. The writing team included Jean Passanante, Susan Bedsow Horgan, Christopher Whitesell, Lloyd Gold, Becky Cole, David Smilow and David Cherrill. Gary Tomlin directed the episode. 1996: On Another World, Gabe (John Bolger) ordered a forensics report on Yvette's body and learned the person who killed Yvette also committed the other murders. The same killer would murder Frankie Frame on August 19. 1999: On Passions, Eve Russell (Tracey Ross) visited the fortune teller who knew about her deep dark secret. Meanwhile, Luis Lopez-Fitzgerald (Galen Gering) found his sister, Theresa (Lindsay Korman, now Lindsay Hartley), a job at the cannery. 2005: Actress Lisa Lindgren died at age 45. She played Kathy Summers in General Hospital in the early 1980s. 2013: One One Life to Live, passion ignited in Llanview, and Todd Manning (Roger Howarth) and Blair Cramer (Kassie DePaiva) made love. By its 45th anniversary, One Life to Live had moved online and was produced by Prospect Park. The show was executive produced by Jennifer Pepperman, along with Jeffrey Kwatinetz and Richard Frank. The reboot was written by Susan Bedsow Horgan and Thom Racina, along with (at this point) Jessica Klein, Michael Slade and Marin Gazzaniga.